We are so excited to have come across the perfect cute and casual crossover cardigan to toss on any time you want to look put-together and chic while staying comfy. 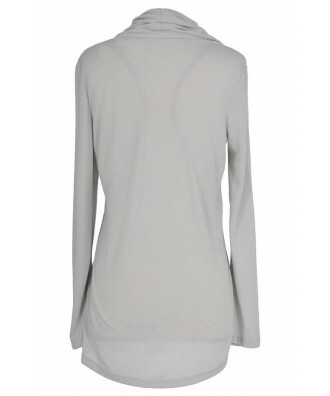 The Tin Roof Crossover Cardigan features a crossover front that zips off to one side. This top has a unique collar that can be worn several different ways. 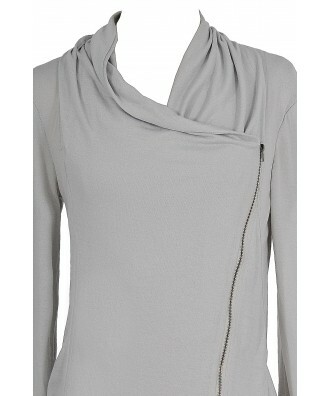 This cardigan is slightly longer in the back, creating a flattering shape. It has a pocket on each side. The Tin Roof Crossover Cardigan would look perfect worn over a fitted tee or tank and denim and boots or heels. 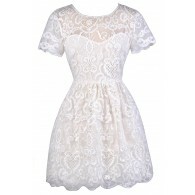 Or wear it with black skinnies and flats for a put-together look while shopping. This will soon become your new favorite! Details: Lined in front. Shell: 70% polyester, 30% cotton. Hand wash cold. Do not bleach. Do not dry clean. Do not bleach. Iron low. 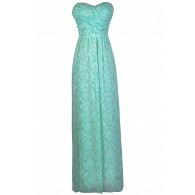 Small measurements: Length from top of shoulder to hemline: 24-30”. 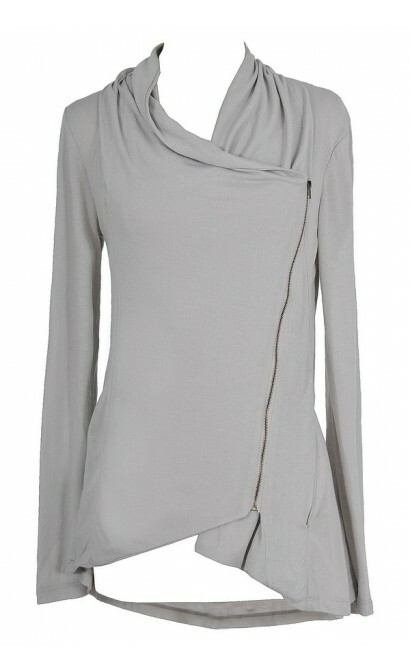 You have added Tin Roof Crossover Cardigan in Silver Grey into Wishlist. You have added Tin Roof Crossover Cardigan in Silver Grey for Stock Notification. 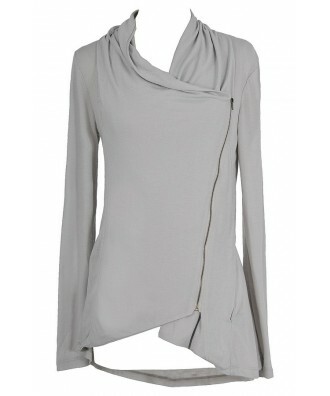 You have set Tin Roof Crossover Cardigan in Silver Grey as a loved product. 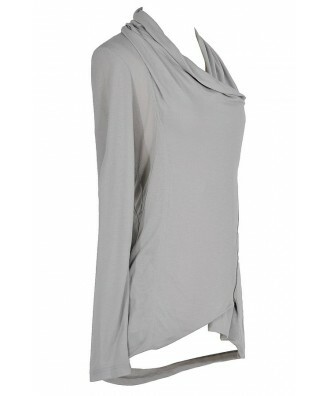 You have removed Tin Roof Crossover Cardigan in Silver Grey as a loved product.